Are you planning to renovate your kitchen? If yes, then what could be better than glass kitchen cabinets? Glass is an excellent material, which immediately enhances the overall look of the space. It is not just elegant but is also practical in many ways. Nowadays, glass cabinets have become a popular pick due to unlimited benefits along with the availability of variety of options. No matter what kind of interior theme your kitchen or house has, glass will match the style and will blend well completely with the entire look. Once you have made up your mind to choose glass as a material for kitchen cabinets, you must pick the best option as per your needs. 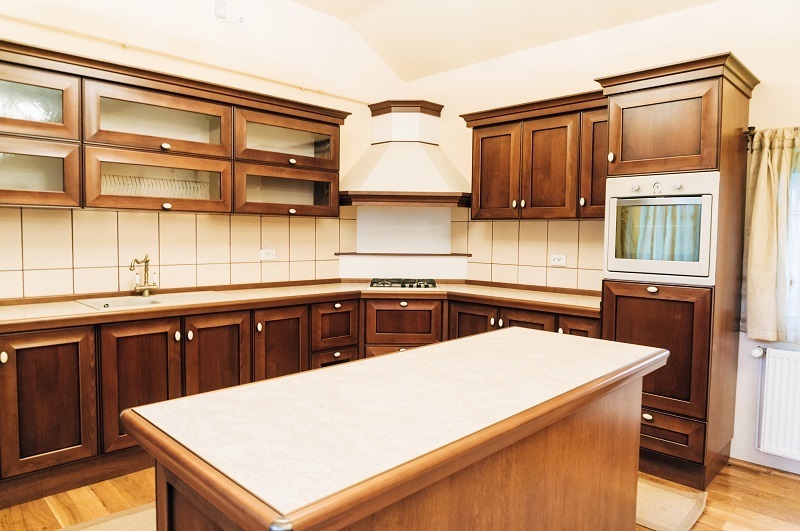 Let us check out some of the common and popular types of glass, which can be used for kitchen cabinets. Transparent glass: If you wish to showcase your cutlery then get transparent glass. It is suitable for any kitchen style and once installed, it will uplift the surrounding space. Besides, giving the best look, the glass protects the items from the dirt and dust particles and keeps the stuff in clean and safe condition. If you are looking out for minimalistic option, then glass perfectly suits the needs. Textured glass: To add a style element in the kitchen, you can go for the textured glass for the cabinets. The glass can be pebbled, bevelled, ribbed, or grooved, which gives a modern pattern to the kitchen. There are again a lot of patterns in this style; you can choose any as per your taste and preferences. Frosted glass: Not everyone likes to display the inside items of the cabinets, in such a way frosted glass works the best. These frosted glass cabinets give out a unique touch to the kitchens; they are vogue and cool in every way. The decision is up to the homeowner; one can choose completely frosted glass to hide the things or semi-frosted glass. Leaded glass: This is a traditional design, which can be noticed in a lot of households. You can get the leaded glass in various colours as well, based upon your requirements. It is a heavy and has metal in it, which gives out a special look and feel once installed for the kitchen cabinets. You can get this glass in plain as well as tinted form; it is up to the homeowner to choose any. Seeded glass: It is a special type where the glass has small bubbles on it. Hence, it is termed as seeded glass. Although, it is an old style, it is still used in a lot of kitchens for a grand look. There is seeded glass found with small and large bubbles, both are unique. 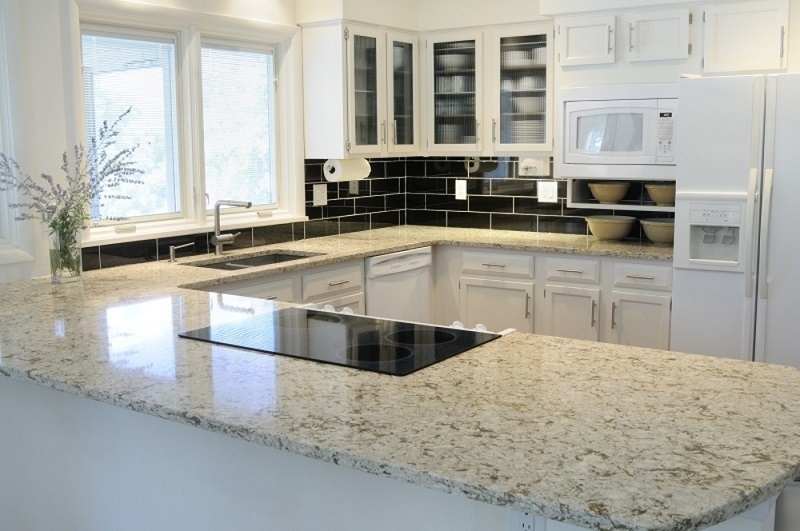 There are innumerable benefits of using glass for the kitchen cabinets, let us check out a few of them in brief. The glass is easy to clean, all one must do is to use a soft cloth and water once in a week. It is an effortless task and does not take much time, as well. As already mentioned glass works for two purposes, first is for look and second for practical reasons. The glass can be purchased at reasonable price, which suits the budget of one and all. The glass kitchen cabinets suit every interior space, no matter what theme your house is decorated in. If you wish to experience the best in styled kitchen, then you need to consider the glass cabinets right away.